Celebrate the re-opening of Idea Store Chrisp Street by designing a poster to mark the occasion. Create a design to encourage children and their families to visit the store and celebrate the July re-opening. 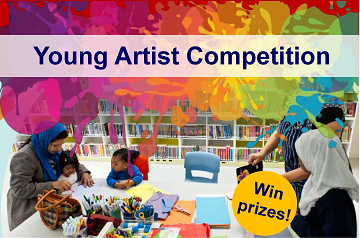 Prizes will be awarded in these age categories: 3-6, 7-11 and 12-16 year olds. Please include your name, age, your parent or guardian’s name and address, a contact telephone number and/or an email address on the back of your poster and drop it into Poplar Baths or another Idea Store/Library in Tower Hamlets.